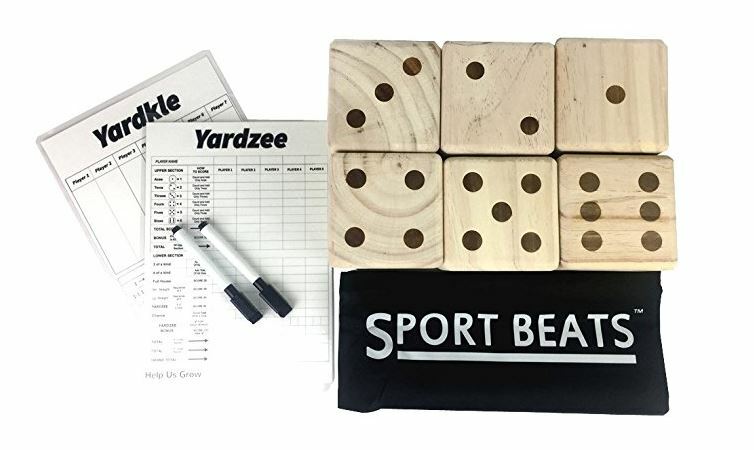 Get this Yardzee and Yardkle Large Yard Dice Game on sale for $19.99 (Retail $29.99). Bring an exciting new game to your next barbecue / picnic / Tailgate / Party Events with this dice .This jumbo set of dice is perfect for bringing family and friends together，roll out the fun with this set of 6 solid wood dice made to last for years. Whether you're enjoying a family picnic, out on the beach , or just in the mood for some larger than life competition . This set of 6 lawn dice will add hours of enjoyment to your afternoon party.